These BBQ Filet Beef Tips are one of my favorite meals. I first had this meal many moons ago at my favorite restaurant in Las Vegas. Whenever my husband and I celebrated birthdays we would go to this special spot. It was out in the middle of the desert, and the owners had turned the old ranch house into a restaurant I will never forget. It was charming and rustic, and they had a huge open grill where they cooked the steaks. They made their steak tips with sirloin instead of filet, but because we are talking about lean beef this week, I wanted to make this plate using my favorite cut of beef, filet mignon. 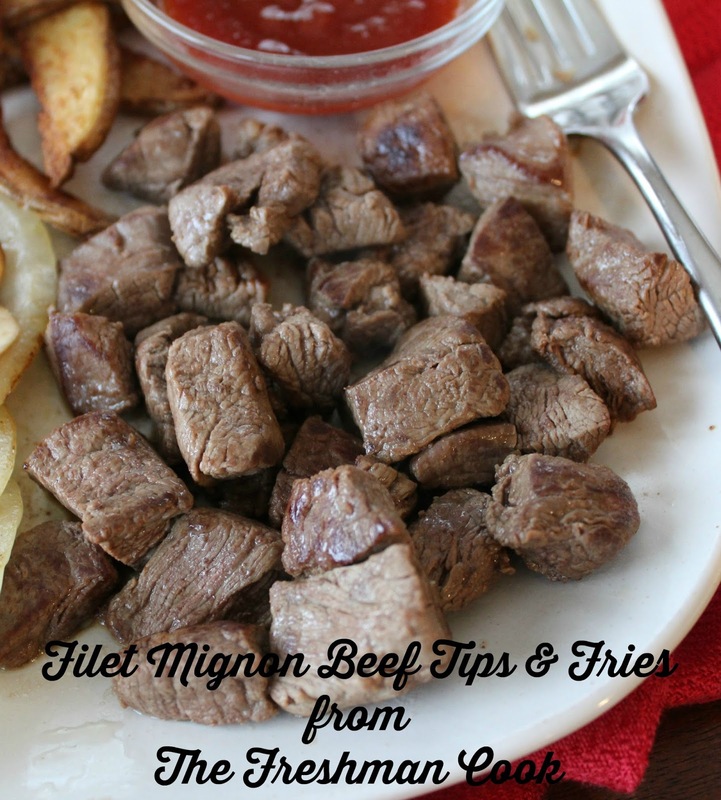 This meal is easy to make, the beef tips melt in your mouth, and it's the perfect meal to celebrate a special occasion! 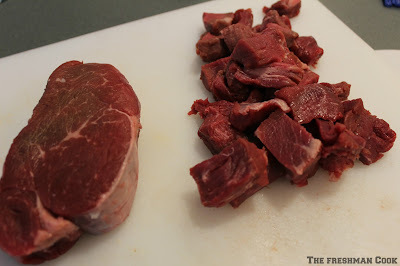 Cut the steak into small bite size pieces. Discard any fatty pieces. I do not think it is necessary to season the filet. It has a wonderful flavor on its own. However, if you want to season it, now would be the time. Wash the potato, cut in half lengthwise. Cut each half in half. Cut slices, rinse slices with cold water and place each slice on a baking sheet. I only put them on the baking sheet because when I am frying them I want to fry similar size pieces together. Fry in a medium size pan on the stove with medium high heat. When they are brown enough, place them on a paper towel to drain. Season with salt if desired. 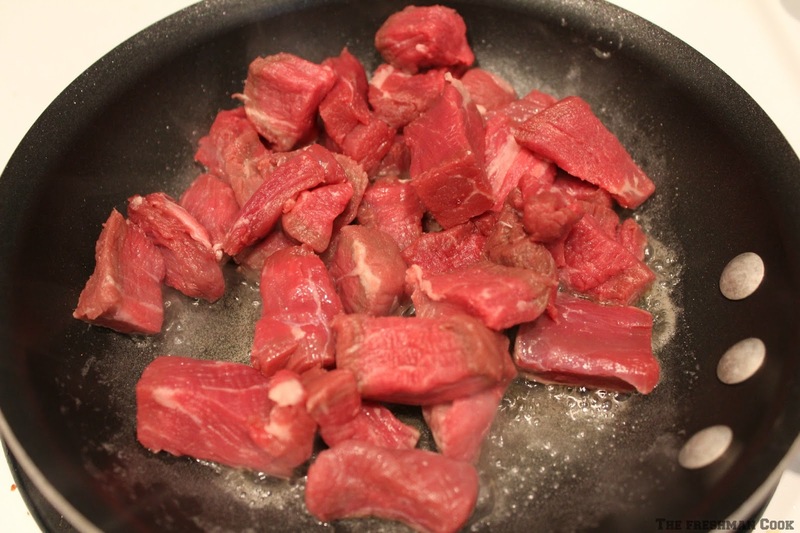 Cook the steak on medium high in a frying pan with a pat of melted butter. 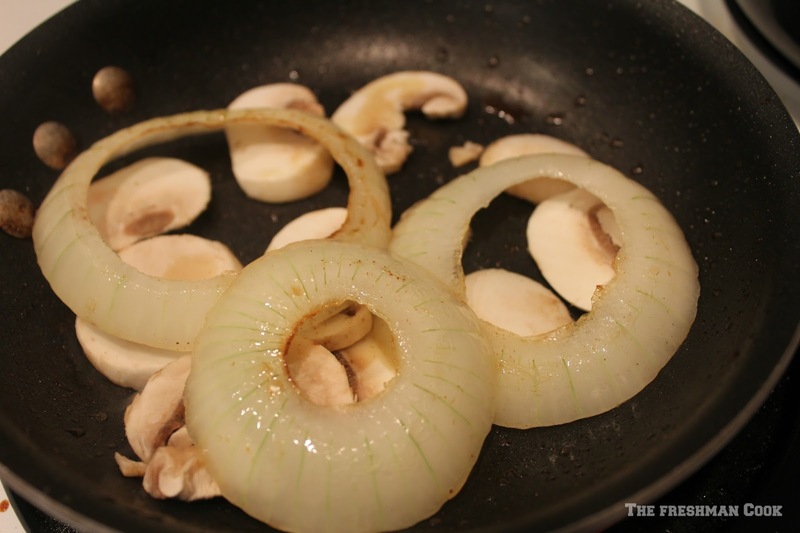 In a separate pan, melt a pat of butter and fry the mushroom and onion slices. 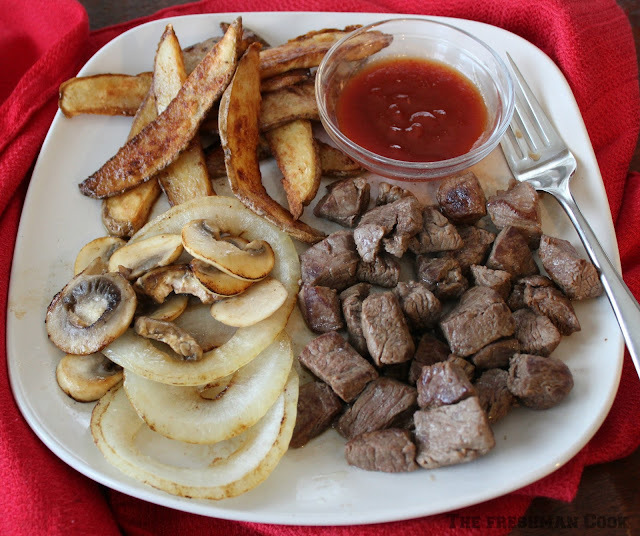 Serve with a side of BBQ sauce, and enjoy your special meal! Thank you for stopping by today! I hope you enjoyed this recipe! Special thanks to Sarah, blogger at The Chef Next Door for hosting today's very tasty event! Scroll down to find a lot more tasty and delicious lean meat recipes from the Sunday Supper family. Celebrate It! Blog Link Party!